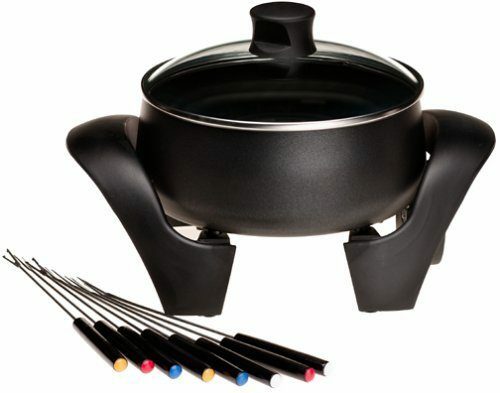 West Bend 3-Quart Electric Fondue Pot Only $14.99! You are here: Home / Great Deals / Amazon Deals / West Bend 3-Quart Electric Fondue Pot Only $14.99! Here’s another fun way to have dinner together without heating up the kitchen! An adjustable control allows for a wide range of temperatures, from gentle melting of chocolate or cheese to a more formidable heat needed for hot oil fondues (think chunks of meat – even hotdogs!). The power cord has a breakaway safety function that will immediately detach and cut power to the device if it is jostled. Get the West Bend 3-Quart Electric Fondue Pot for Only $14.99!